Designed for comfort, versatility & strength, S.O.TECH’s Mission Go Bag A1 fulfills multiple requirements. 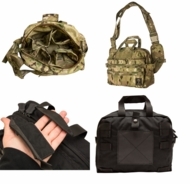 Can easily be reconfigured as a shoulder bag & with a fold & a snap it converts into a waist/fanny pack that rides below body armor. Stowing the shoulder straps in the rear pocket configures the bag as a briefcase utilizing stowable carrying handles. A contoured shoulder strap, padded back plate & sleek design with rounded edges provide comfort required for long missions. 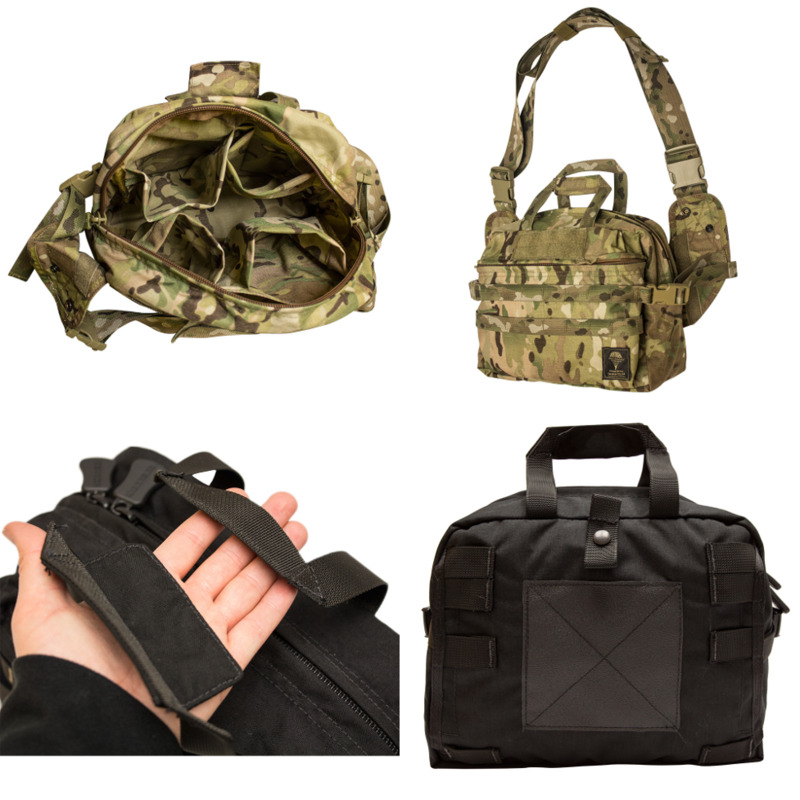 Thick shoulder straps, reinforced attachment points & large buckles provide durability required in modern combat environments, while economic use of high-tech materials minimizes the bag weight as part of the soldier’s load. 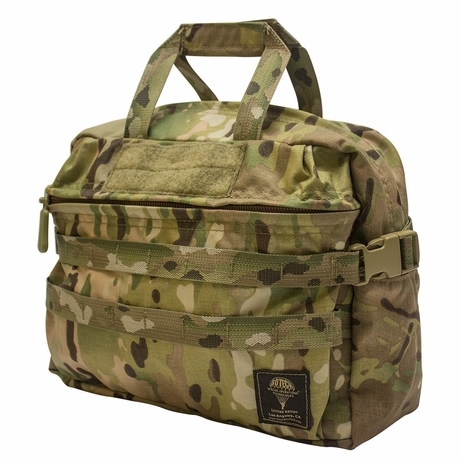 Logically placed & enlarged buckles & zipper pulls provide ease of operation in stressful operations & inclement weather. • Dimensions: 12.5"x 14"x 3"